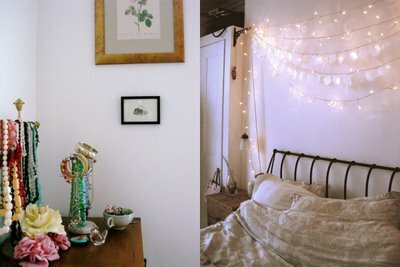 I originally saw this on Lauren Conrad’s site and it inspired me to see other versions. 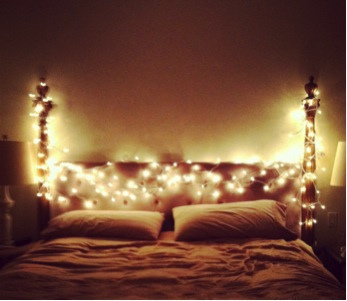 I want to do this for my own bed! 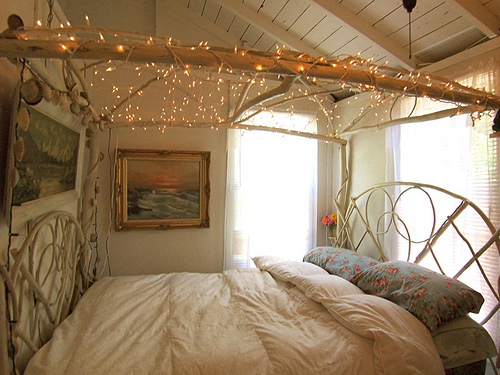 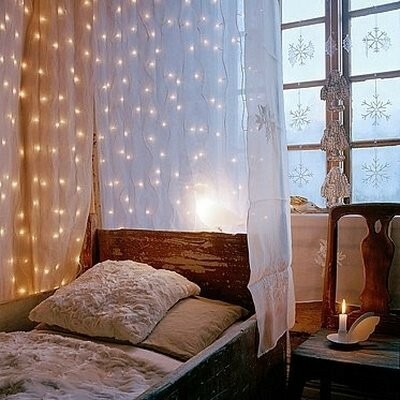 How pretty and fun to be surrounded by glowing fairy lights…I think it would make for some sweet dreams!